EU policymakers are negotiating Europe’s next long-term budget.Sign the #SIDeclaration today to tell them that Europe needs innovation to benefit everyone. 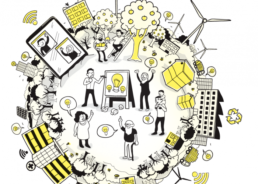 While industries like pharmaceuticals and automotive are good at getting decision-makers’ attention, the social innovation community – a broad movement of people and organisations innovating for public benefit – often has less influence. We want this to change. Over the past year, we have asked people working in social innovation all over Europe about how EU policy could enable them achieve an even bigger impact. We heard from more than 350 people from 19 member countries. You told us you wanted a Europe where civil society, non-state actors and local communities are empowered to define and address challenges that matter to them, such as climate change. You shared a vision for research and innovation which gives greater recognition to the contribution of civil society and the wider public. And you spoke about the need for mainstream innovators (like technologists, firms and research organisations) to rethink their role in driving direct societal benefits. Finally, you described challenges that can stop social innovation achieving its potential: problems with public procurement, rigid funding structures that don’t allow experimentation, a lack of skills and incentives for public officials to support social innovation.  The Social Innovation Declaration sets out the core values that we want European policymakers to follow as they negotiate the new EU budget and programming. You can read more about SIC’s presentation of the #SIDeclaration to Commissioner Moedas at the Web Summit, Lisbon in our press release here and in this article by Horizon Magazine.